N.S. 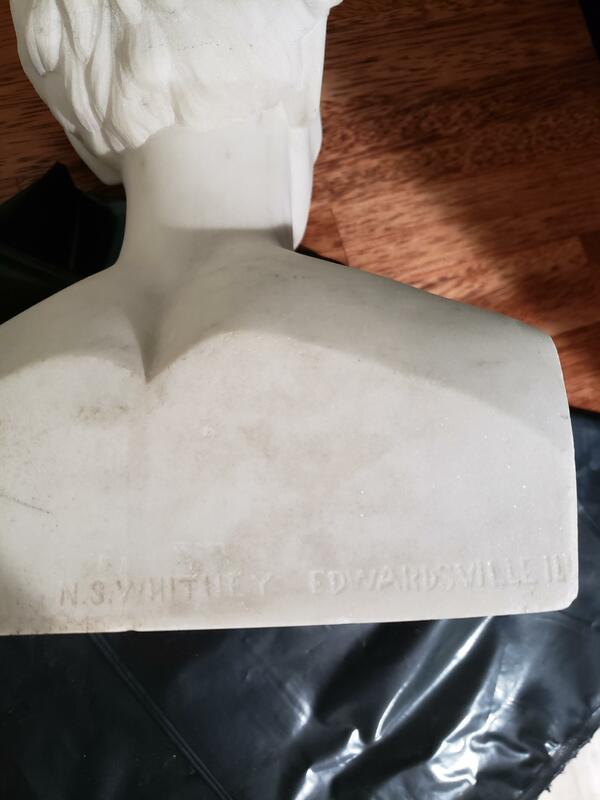 Whitney Edwardsville IL engraved on the back. I was able to find that N.S. Whitney moved to Edwardsville in 1860 and died sometime around 1880. He was the proprietor of Edwardsville marble works. The bust is approximately 12" tall. This came from m grandmother who said it was in a house her family moved into in Illinois when she was a little girl somewhere around the early 1930s. 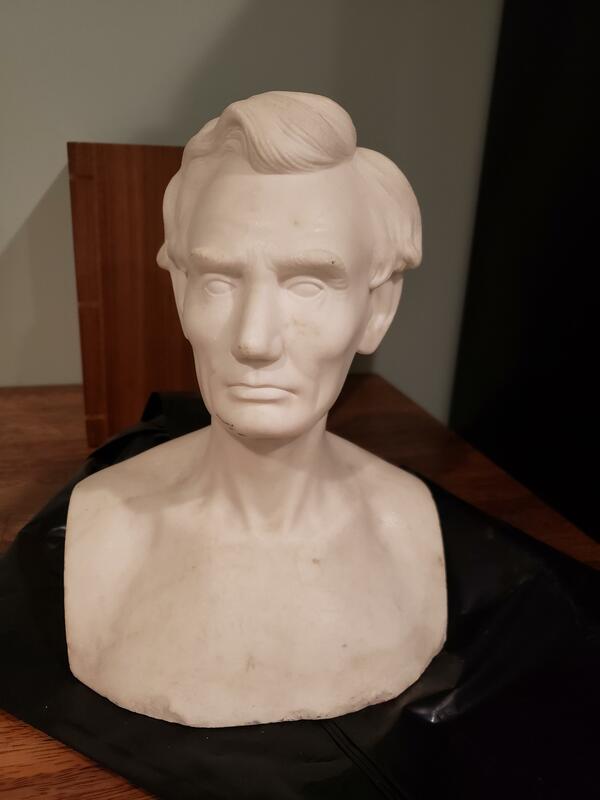 We have no records of a marble Lincoln bust or of any other subject by N.S. 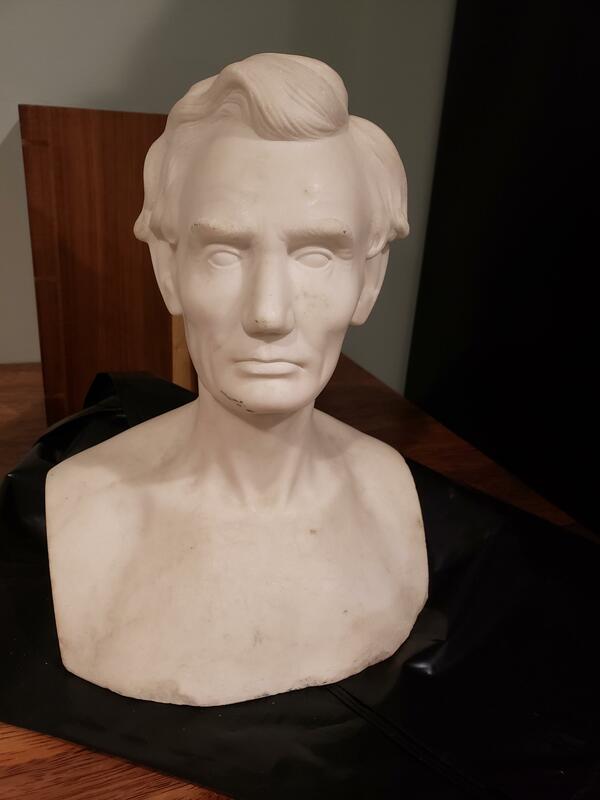 Whitney having been sold at Decorative Arts auctions going back over 10 years, but marble busts of Lincoln of similar size and vintage have sold most often at auction in the $300.00- $500.00 range.